Laugh, cry, dance, smile...live life to its fullest! I am looking forward to meeting students from all over Japan and having great lessons in English! Thank you for studying with us at Global Communications. We hope that our lessons are both helpful and enjoyable for you. 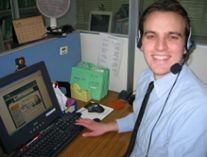 Almost 12 years teaching experience in Japan. I enjoy karaoke and parties, aerobic-exercise and bowling with friends. Explore our world with the GLOBAL language-English! I love studying foreign languages myself, and enjoy sharing the experience with others. I am always looking forward to meeting new students and hear about jobs, studies, etc. I hope we can have fun together during our lessons. Studying languages is what I do every day! I am always very curious to learn more. I hope we can meet each other in class soon and share our stories! I enjoy sports, especially snowboarding and working out at the gym, and enjoy watching movies, reading and traveling overseas. I have worked in sales and marketing for more than 5 years and am studying towards my MBA in Japan, and therefore can help you with your business english. The most amazing thing about life is learning new things. So Lets have some fun learning english. I enjoy reading, art, sightseeing, cooking and learning everything I can about Japan's language and culture. I look forward to meeting you all and can't wait to help you learn English. Lets have fun as we learn!! Music, playing guitar, reading, surfing, snowboarding, web design. I’m looking forward to meeting you and having some fun, interesting and useful English conversations! I enjoy karate, exercising, and traveling. I can’t wait to talk to you and entertain you with fun and meaningful English classes. Copyright(C) 1999-2018 Global Communications Co., Ltd. All Rights Reserved.